A black and white photograph of 401 Green Street. This brick house was built for building contractor Thomas Deverell in 1861. 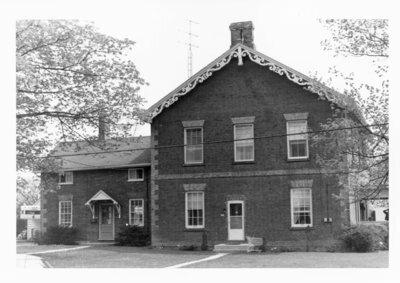 An addition was constructed at the back of the house, at left in the 1980s. 401 Greet Street, 1974, Brian Winter. Whitby Archives A2013_004_004.